At Air Four we are proud of our long history of servicing Melbourne’s climate control needs. 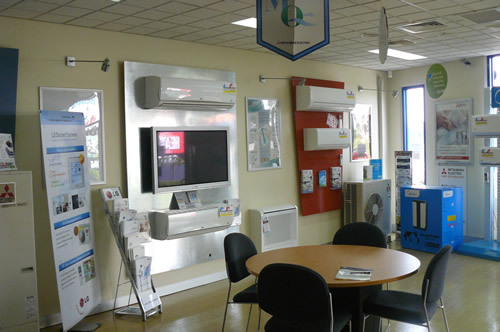 Since 1987 we have been selling, installing, maintaining and repairing all manner of air-conditioning and refrigeration equipment for all wide variety of commercial and residential customers. Whilst we are proud of our long history, what it has meant for our customers is that our high level of service and standard of work have not only allowed us to continue for so long – but to also grow along the way. For many of our long term clients, we have outlasted some of their equipment - which has simply worn past its usable life! With a staff of close on 30 people across our service, contract, estimating and admin teams we have sufficient scale to ensure high quality service is consistently provided to our customer base. This is shown with the multiple service teams on the road as well as in the depth of experience and qualifications we hold. In house we have qualified air-conditioning, refrigeration, gas and electrical technicians – who are all available to provide efficient servicing. One of the benefits of being able to service the industry for so long is that we have formed supply arrangements with all of the major equipment providers. By having these, it means that we can provide not only our customers with the widest range of equipment – but we are also free to recommend which is the best equipment for their needs. Having built our business over a number of years, we have not only amassed a considerable amount of technical experience in a wide range of different industry and equipment environments, but we have also seen a lot of competitors come and go. We have continuously focused on delivering the highest quality of service, coupling it with sufficient scale to ensure that we can provide the round the clock support our customers need. We consider that we stand apart from many firms in our industry, simply by focussing on good ol’ fashioned service, combined with deep technical knowledge and reliable response times.